DevFluence is a professional software development school. We embrace the challenge of supporting and enabling in-house software development teams to produce business value consistently. Our offerings create the right mindset, practices and environment enabling professional software development careers for individual and collective software professionalism. 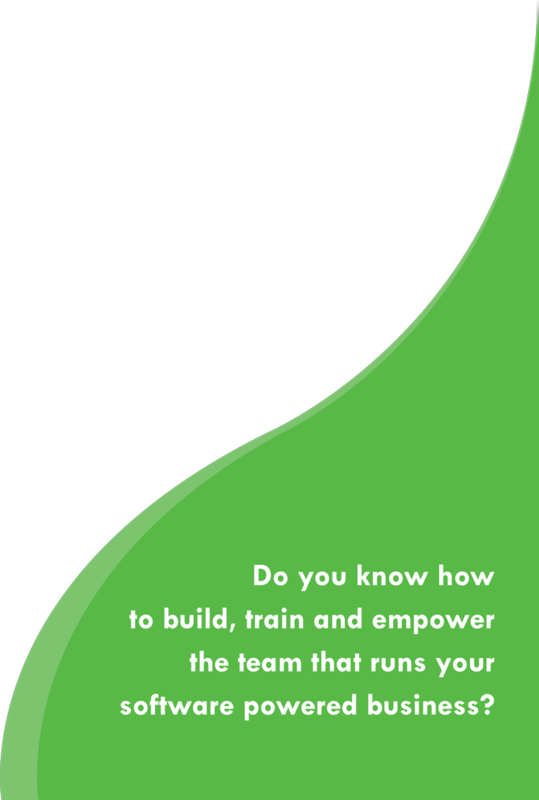 Do you know how to build, train and empower the team that runs your software powered business? 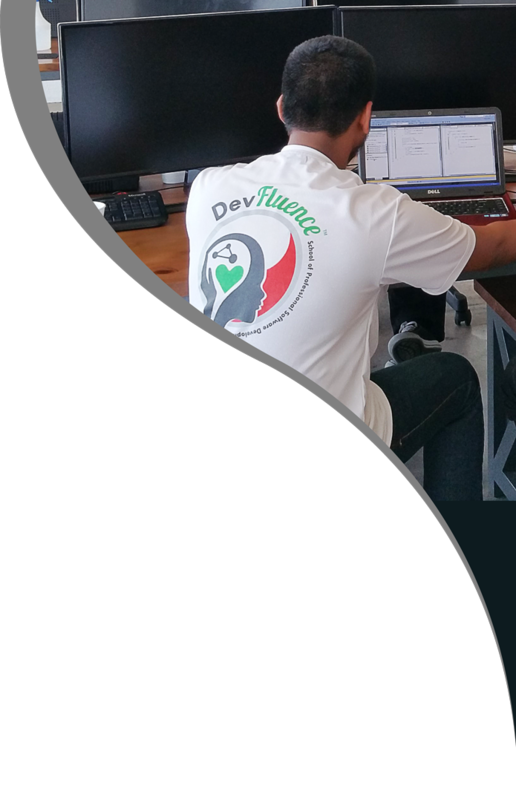 Our offerings creates the right mindset, practices and environment enabling professional software development careers for individual and collective software professionalism. Have you ever lamented about being misrepresented as a “programmer” or even worse being called “a piece in the production line” “Are you tired of trying to explain why software development in a business is so much MORE challenging than writing software as a hobby? You are not the “code-monkey”, who accepts being stuck in a cubicle. You are a professional! As indignant as you are, it still does not change your reality where “Doing work that you love is great but it is not that great being poor. You also have probably come to accept that earning well is cool for a while, but it leaves one’s soul wanting. So what are your options? We at Chillisoft hear you. We too have been searching for a sustainable business model to build software development careers, whilst generating value for the business. 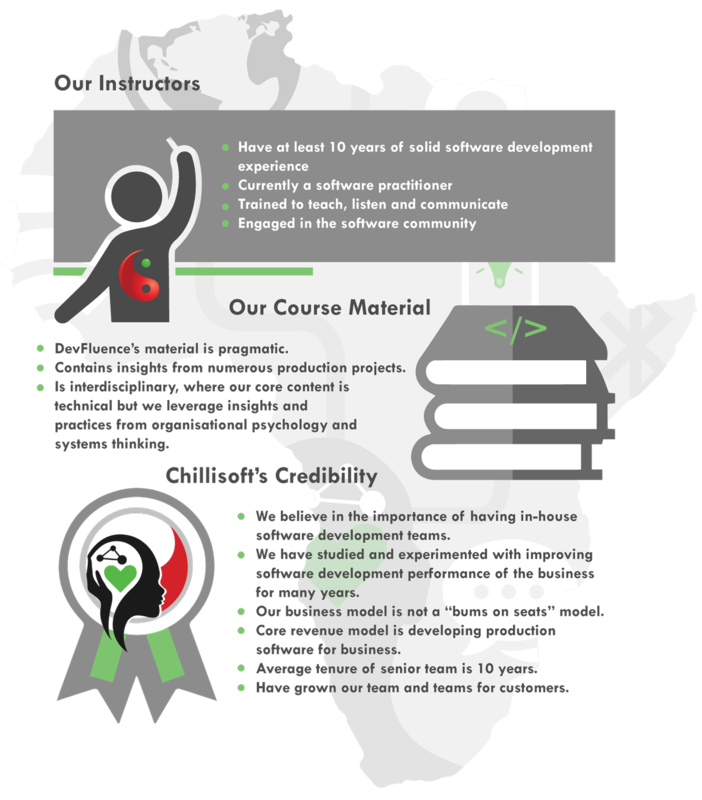 After 4 years of research and testing our model across various businesses, Chillisoft is proud to share our learnings with you. Have you ever lamented about being misrepresented as a “programmer” or even worse being called “a piece in the production line” “Are you tired of trying to explain why software development in a business is so much MORE challenging than writing software as a hobby? You are not the “code- monkey”, who accepts being stuck in a cubicle. You are a professional! As a manager, you are at a crossroads, the business is changing at a rapid pace where “Digital transformation” is becoming an increasing priority, yet you are unable to retain or develop good software skills. You also have probably burnt your fingers with outsourcing software development and yet you still feel the market pressure to pay higher salaries even though you have not seen the business value. Chillisoft understands the needs of business. 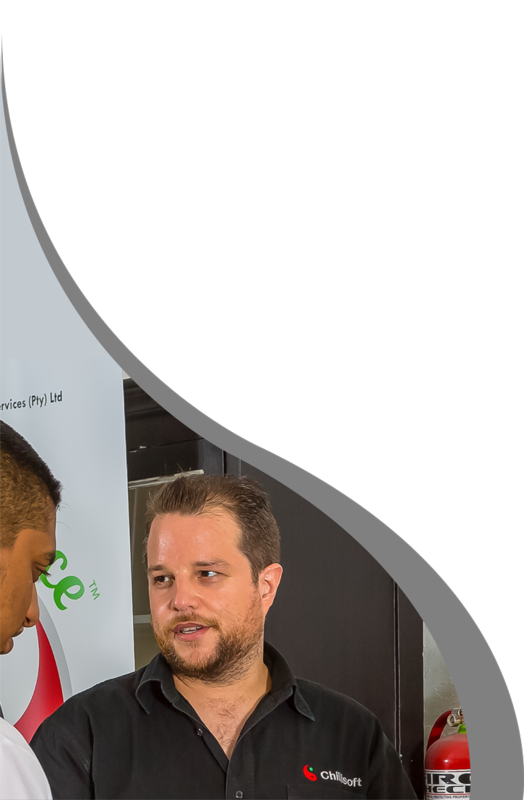 We understand that the key is NOT offering packages with perks, or outsourcing software development or even training software developers in-house. The key lies in developing software development competencies as a business, where the competency does not lie in an individual or a supplier. Chillisoft understands the needs of business. Where Will The Next Generation Of Developers Come From? We believe in hands-on experience. 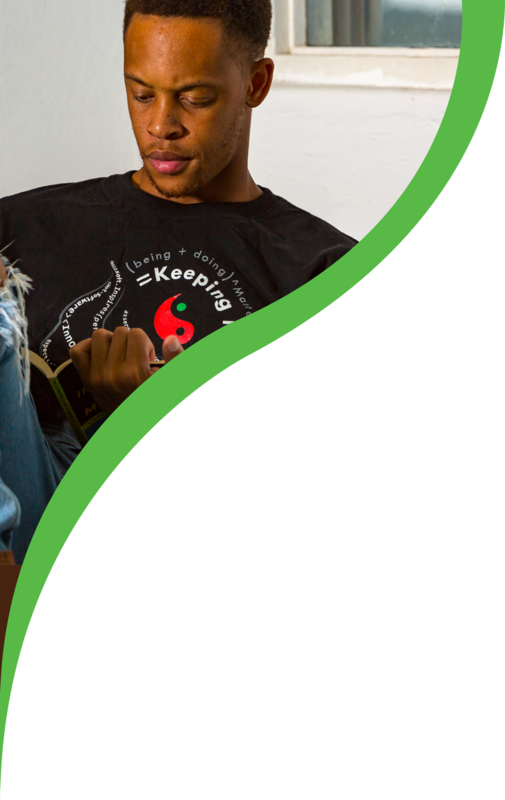 Our apprenticeship school takes junior developers and provides them with the skillset to provide meaningful contributions to businesses and the development community.